Summer is here! 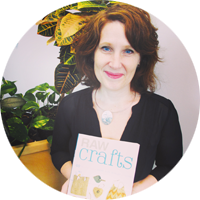 And what better to do on a sunny, warm Vancouver day but get crafty. 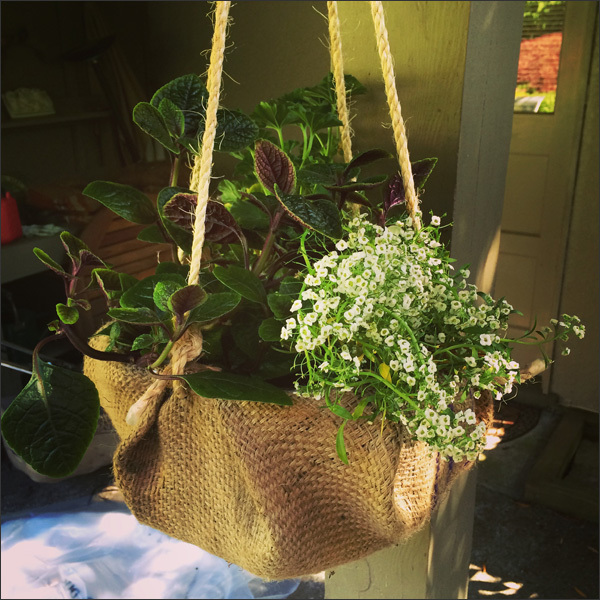 I sat outside and made 3 upcycled burlap hanging planters for friends yesterday. 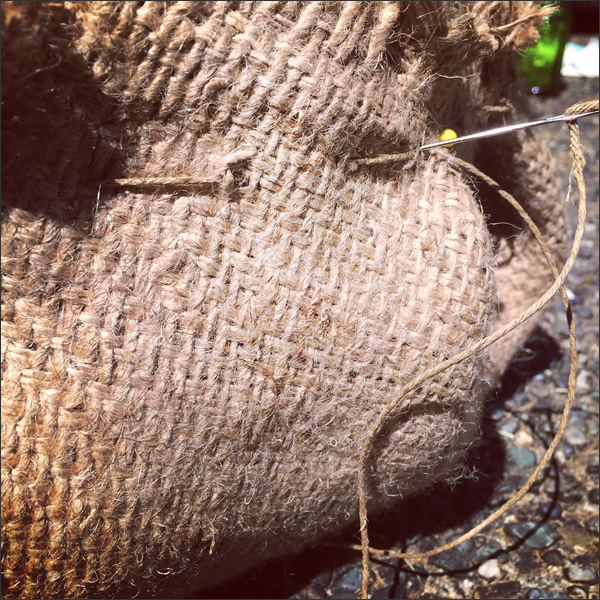 All you need is burlap, hemp, rope, a wire hanger, a darning needle, pliers, scissors and chalk... Plus a plant liner, potting soil and flowers of course! I found a 14" plant liner works perfectly with the wire hanger. I made some with a 12" plant liner and needed to trim the wire hanger insert by a couple of inches. 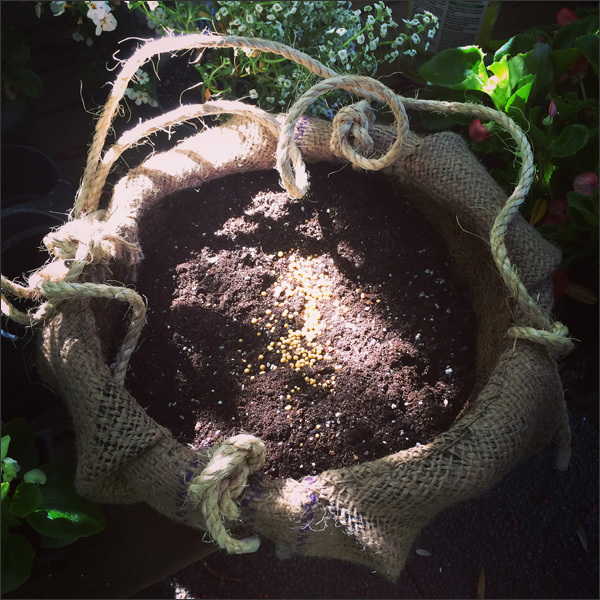 First step lay the burlap sac flat then place the plant liner on top. Fold in half and trace around the curved edge then flip over and trace the other curved edge. Next trace another oval 1.5" outside of the first oval. This will be the seam for the hanger. After adding the outer circle, cut out the oval along the outer chalk pattern. 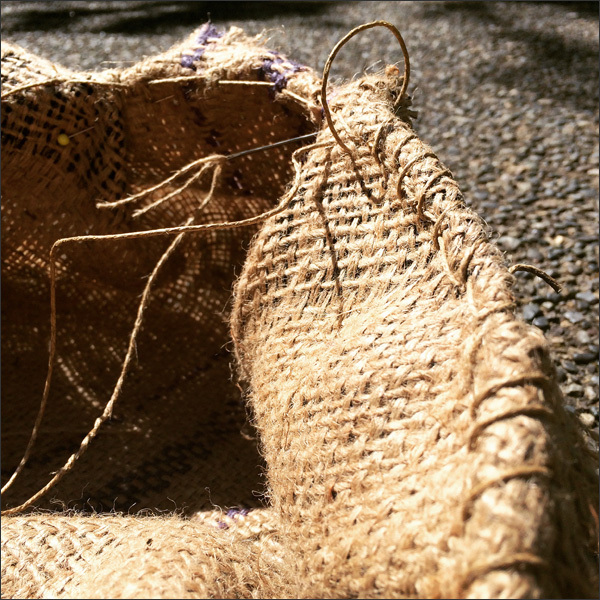 Now add box pleats to the burlap - this is to create the bowl shape the plant liner sits in. Use pins to create the bowl. 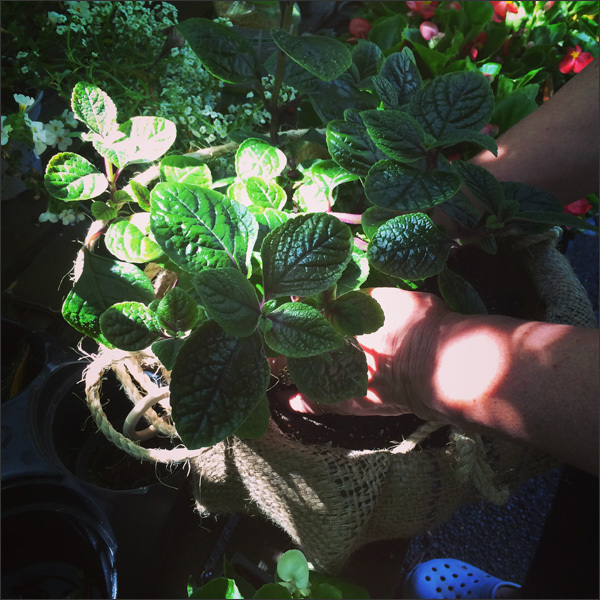 Adjust as needed to fit loosely around the plant liner. Note: leave a space between the folds so the opening isn't too narrow for the insert. Next thread the darning needle with hemp. 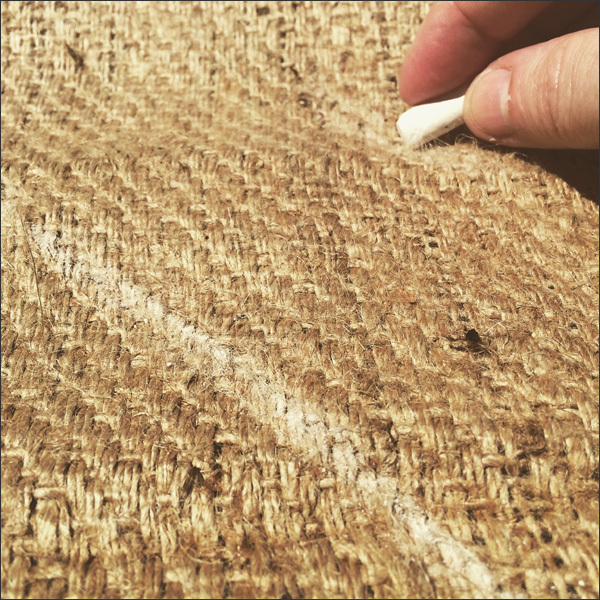 Hemp is the perfect 'thread' for stitching the burlap. Sew a seam 1" in from the edge - this is to hold the folds in place. Once you've added the seam then prep the wire hanger. 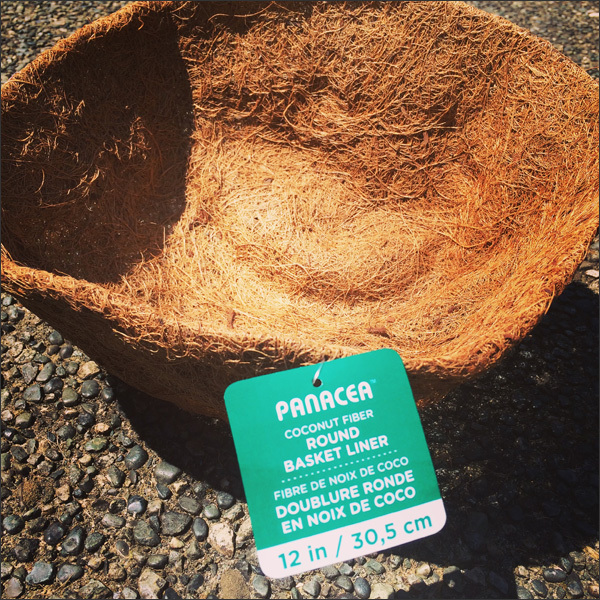 Take it apart then create a wire circle - this is for the opening of the hanging planter. 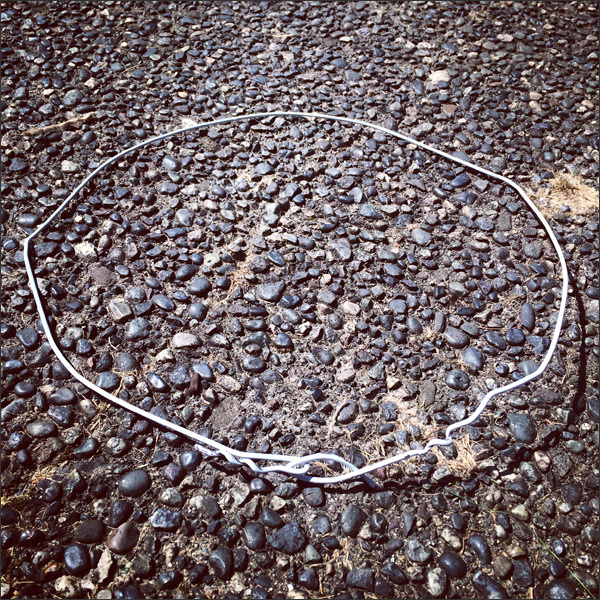 If using a 12" plant liner you may need to trim the wire by 1" or 2". 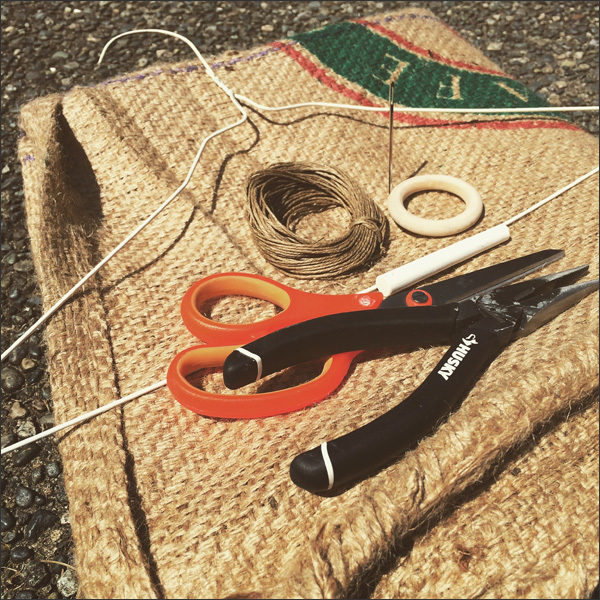 Turn the burlap inside out then bring the top through the wire hanger circle. 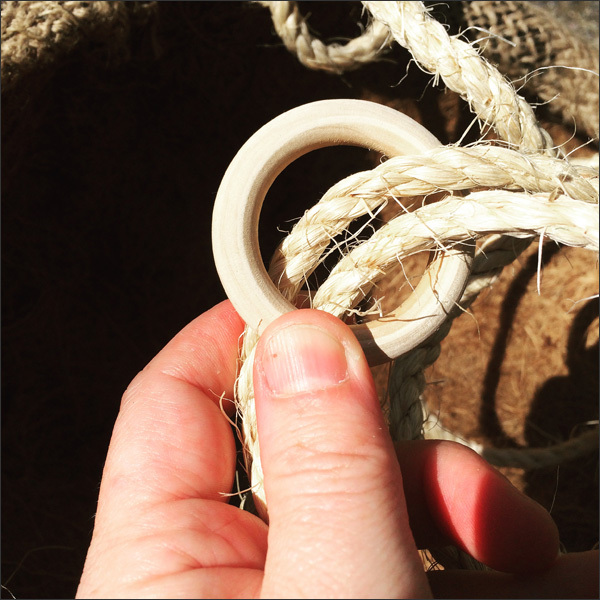 Fold the edge of the burlap over the wire circle and pin. 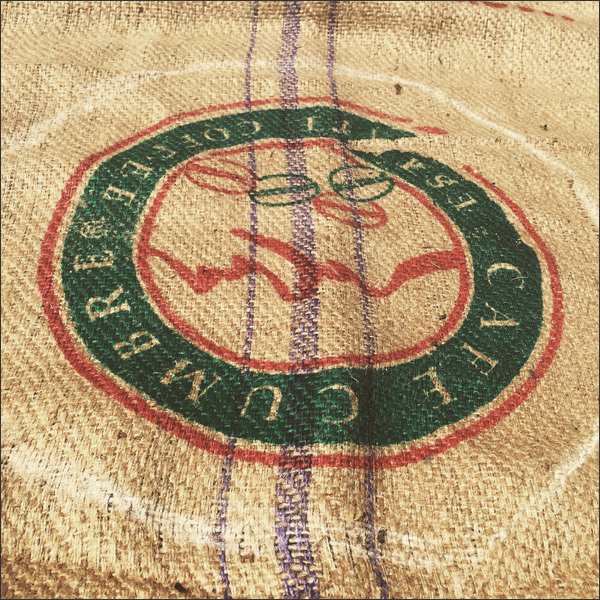 We're now adding a stitch to keep the wire circle in place. 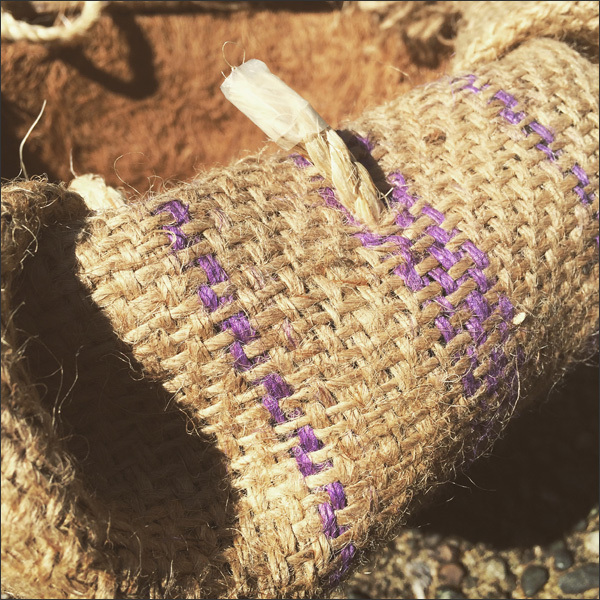 Whip stitch the burlap to hand sew through the two pieces of burlap while keeping the wire in the centre. Note: A whip stitch is an easy way to not only finish the edges but to stitch the wire hanger in place. I found spacing the stitches 1/4" to 1/2" apart was perfect! 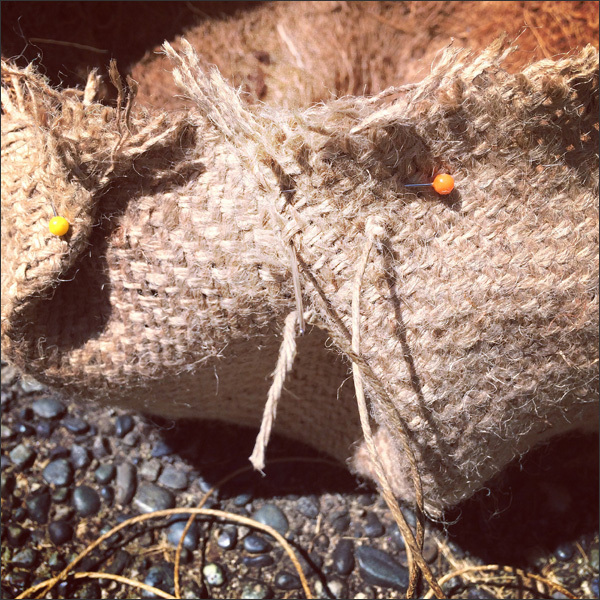 Once you've added the whip stitch around the top, turn the burlap planter inside in again. Now insert the plant liner and we're ready to add hangers! 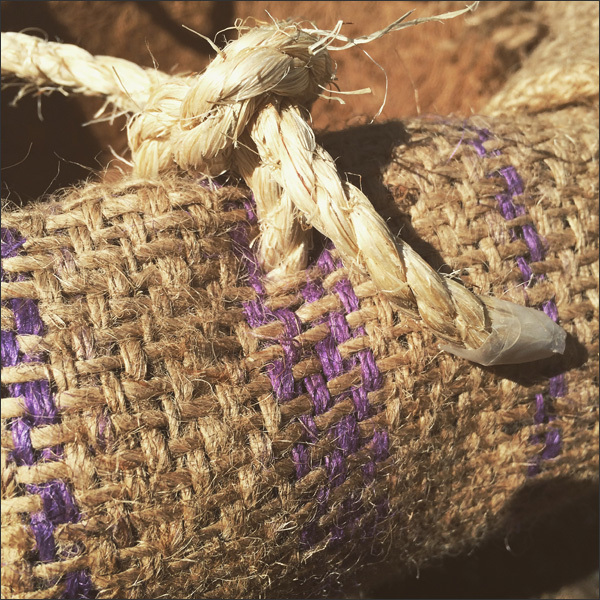 I used sisal for this part - rope is also a great touch or braid burlap if you prefer. 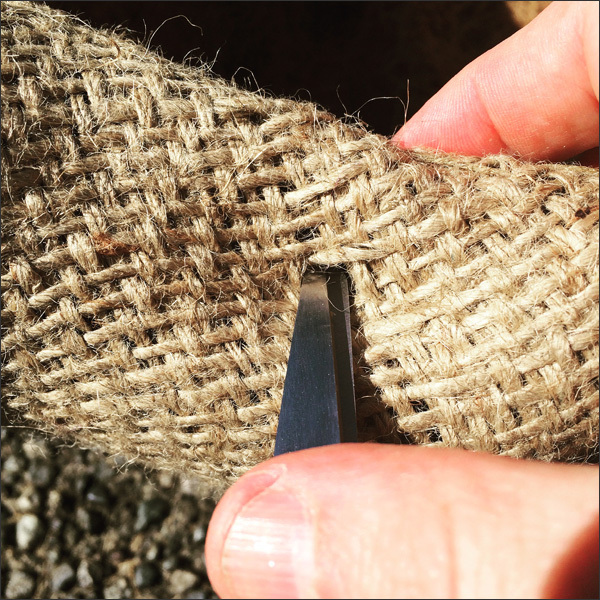 Use the end of your scissors to create a hole in the threading of the burlap. 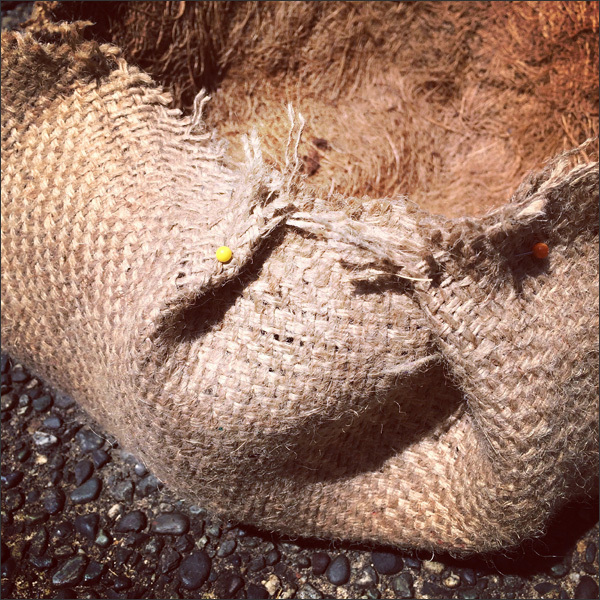 Don't cut the burlap just enlarge a space in the threading. 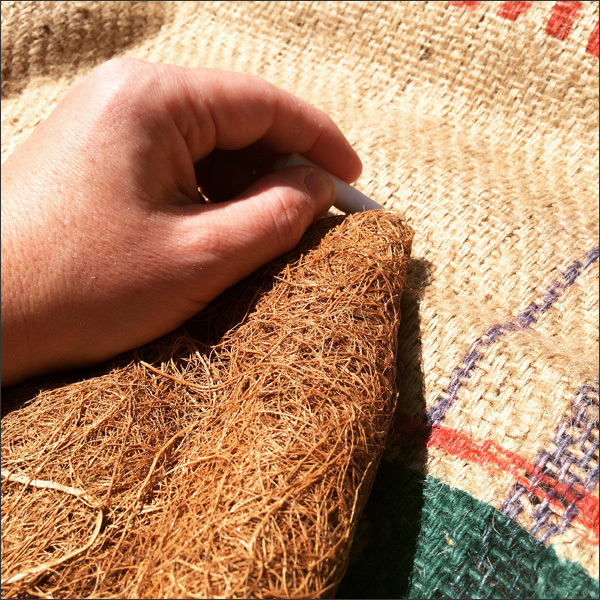 Tape the ends of the sisal so it doesn't fray - plus it's easier to pull though the hole this way. Pull the rope through. I pulled from the inside out. 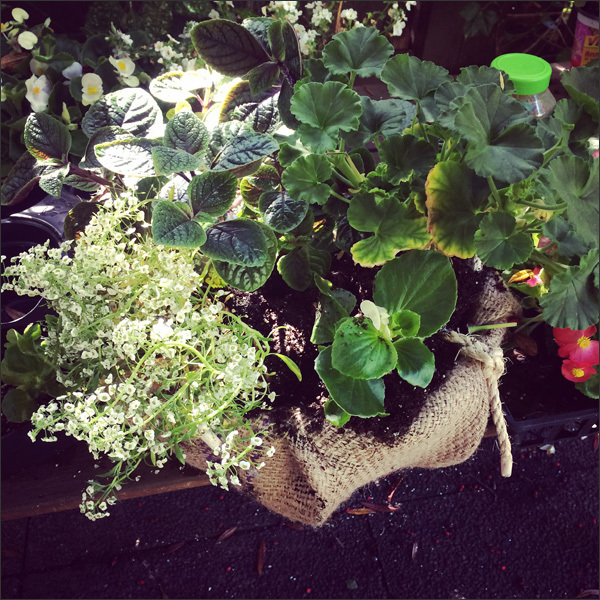 Once you're done then hang and water the planter. You're done! It shouldn't take you too long - an hour tops! The hand-stitching takes a bit of time but it's worth it! Love it! 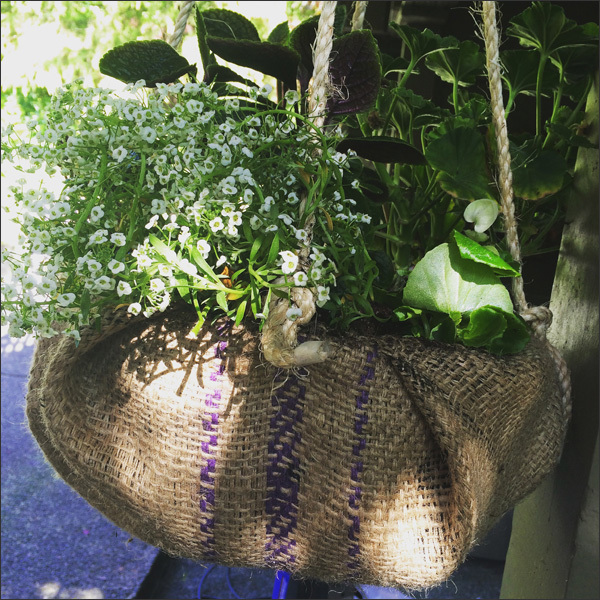 And the sisal really adds to the planter! Now it's time to give these to their forever homes. 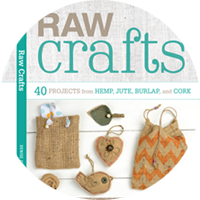 Yay for crafty love!